1) sometimes, specially if used constantly, it can irritate the scalp and it can make it itchy. Obviously if this happens, it is a good idea to stop using shampoos which contain SLES, at least for some time. 2) for people with thin hair it is not a great idea to use a shampoo with a strong Anionic Surfactant (like SLES) in the first position of the ingredients list. It has been shown through studies that Anionic Surfactants actually weaken the hair and the skin of the scalp (because this is, to make it very simple, the way they “clean”). However please don’t read it like “omg I will stop using SLES all my entire life”: if it can make you feel any worse ANYTIME you wash your hair (even if you were washing them just with water) you are actually damaging them 😉 so chill: you have been “damaging” your hair all your life, and they are probably still there! 😀 (and PS I suggest you to keep damaging your hair by washing them 😉 ). 3) it is not an eco-friendly ingredient, therefore people who want to use ONLY eco-friendly ingredients should avoid SLES (as many other ingredients as well). [Just to make it clear: there are no real studies about the hazardousness of SLES for health. This is why I didn’t include these rumors in the reason why one should avoid the ingredient. 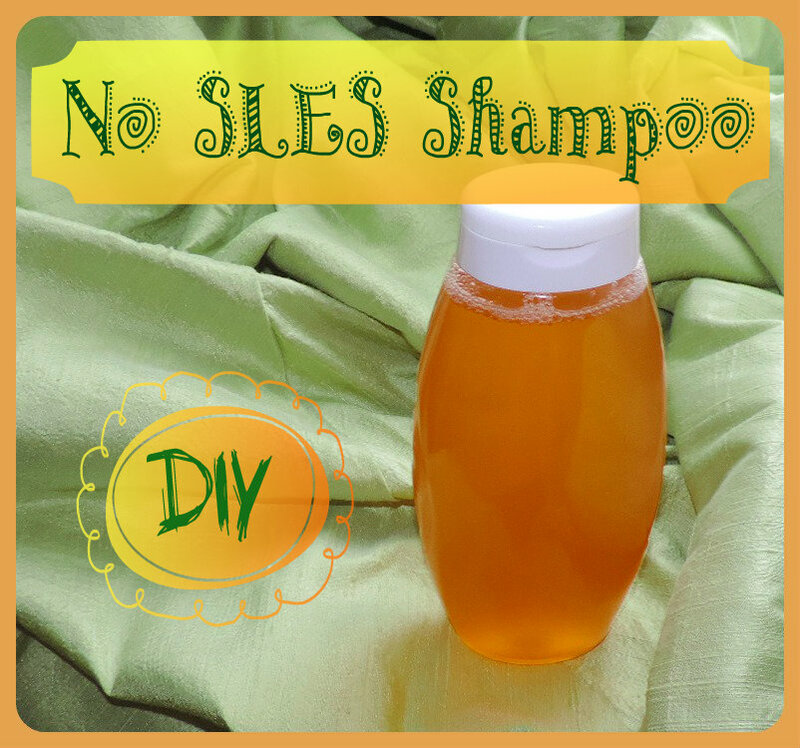 😉 Not everything you find on the internet is true: most of the bad rumors about SLES were invented in order to scare people and make them buy (unreasonably) expensive shampoos that wouldn’t contain it]. This said 🙂 now a few words about this recipe! I have made a Glucosides-based shampoo. 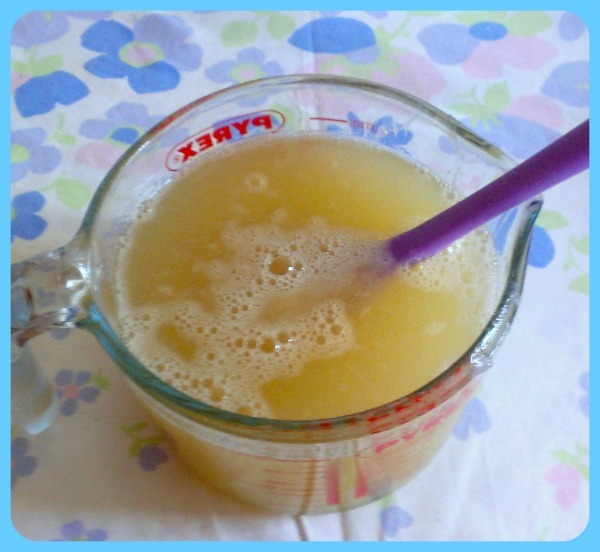 This recipe makes for a quite liquid shampoo, which is usually not something I would appreciate; however, it seems functional to the recipe in the way that if it was more thick, it would be more difficult to spread (so if you try this recipe, try it first as it is! If then you want to change something, you can add a gelling/thickening agent to the water phase if you like). To make it more conditioning I added “Polyquaternium 7”, which you could omit if you have short hair. 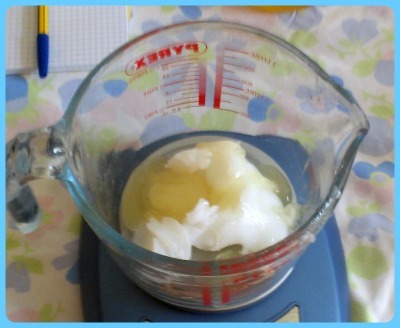 [In case you are new to my blog, you find all the explanation on how to make REAL cosmetics at home HERE, together with a list of all the other recipes I posted. 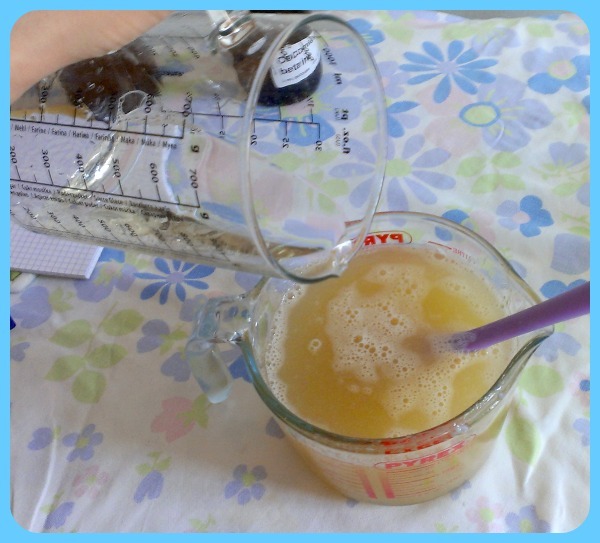 Citric Acid to adjust the pH IF NEEDED. 7) Do the same for the Polyquaternium 7 and the preservative. Adding them one at a time and mixing carefully after you add them. 8) Check the pH and adjust to pH5 if needed. 🙂 That’s all 🙂 Extremely fast! Hi. Why do you add FO into phase B and heat? Should we wait phase B to cool down and then add FO,or add it to other phase? Ok I got it 😀 . I see some people add extracts to shampoo, do you think if it works or not? I believe extracts are more “poetic” than effective in a shampoo because it is washed off very soon after being applied so even if the extract could do something to the scalp, it won’t have the time to do anything at all. Hi! My daughter is allergic to coconut and it’s really difficult to find soap and shampoo that are coconut free! I’ve finally found a place that has glycerin made from soybeans so I’m going to get that and babassu oil for liquid soap but I was still trying to find a recipe for shampoo. There are a lot of ingredients in your shampoo I’ve not heard of. Are they any of them made from coconut?? I would prefer to not use sls so I’m glad I found your website! Thank you so much for all the recipes!! I just got here tonight so you might already have something for kids, if not, that’s something I’m really interested in. My oldest grandson will soon be 4 years old and he is allergic to yellow dye. He has has dry skin and I want to make him a bubble bath with out sls. I don’t know how much bubbles the glycerine will produce. Glycerin doesn’t make any bubbles: it is merely a humectant (it hydrates the skin). To make bubbles you need to buy surfactants and there are many surfactants which are not coconut based. I have written many posts on how to formulate a detergent where I explain how to combine surfactants. You should check a website that sells online cosmetic ingredients and they should provide information about their products (so you could ask them, if it is already not written on the website, if the surfactant you would like to buy is related to coconut). SLS is not a terrible surfactant if you formulate correctly, but there are milder surfactants so you could start from there. 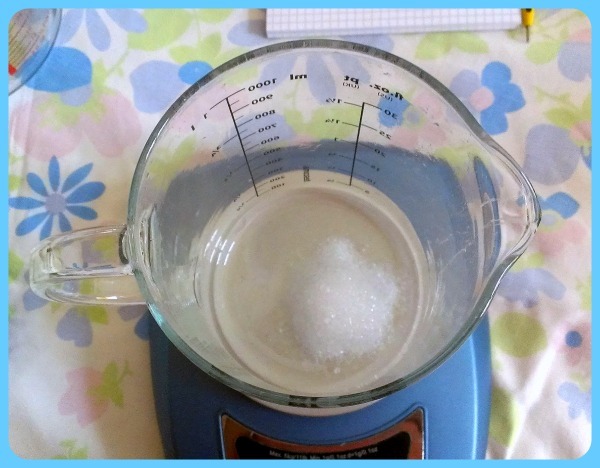 If you read those posts about making detergents, I explain why you need to mix surfactants (there are also 4 posts about recognizing good shampoos, if you want to formulate a shampoo you might want to read those as well). 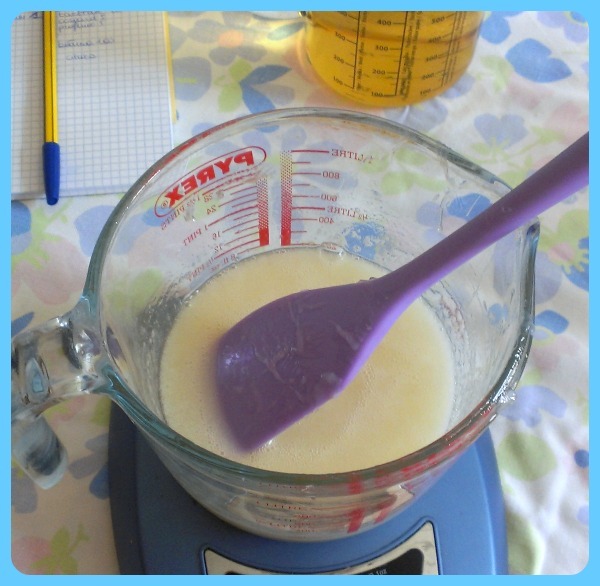 You can make a shampoo using lauryl and decyl glucosides and add other surfactants that are not derived from coconut. Coco glucoside is a mixture of decyl glucosid and Lauryl glucoside. And they are all from palm oil, not coco nut. That preservative is good for this. Use it at 1%. You can omit the lauryl glucoside and glyceryl oleate! Hi! You mentioned about Coco Glucoside & Gliceryl Oleate 3 . Did I mix both and measure 3% or each ingredient is 3% so total 6%? How do I change from % measurement to gr or tbsp? I talk about “Coco glucoside and gliceryl oleate” because they were a single ingredient, so it was a total of the two. You cannot use tablespoons as that’s not a valid measurement. Lastly “Natural” is not a certified word, you can commercially call anything as “natural” as there is no official definition by it. I am on phone, cannot check if all these ingredients ate certified Cosmos or Ecocert, but if you want to make “natural” cosmetics, you should look into those kind of certifications! Hello! Why did you use Epsom salt? Helps with volume a little 😉 omit it if you don’t meed volume! Epsom salt is actually Magnesium Sulfate. Could you please explain how exactly this salt gives a volume to hair. Yes, that’s correct. Salts and proteins tend to help with volume. That’s jist how it works. It looks quite thin – did it thicken the next day? Salt works with SLS or SLES and CAPB, not with SLSA. It was not very thick but not too liquid either. Ok vegequat might liquefy surfs as well but less likely (sometimes proteins do). 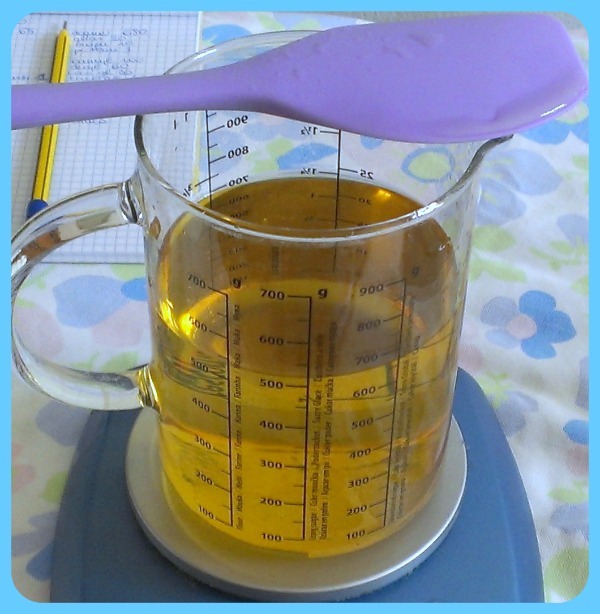 I added some rice bran oil, essential oil and seabuckthorn oil for colour – total oils = 1%. If you like usual shower gels texture… You need to use SLES + betaine. That’s a very common combination and works great! Oils do destabilize surfactants so maybe for that combination of surfs 1% was too much. It all goes to trial and error! can i use this surfactant blend and adjust to 10% active matter for a face wash purpose? You can try and see if it works for you. Then adjust for your skin needs. Can I use Sodium Cocoyl Isethionate in place of Decyl Glucoside and Lauryl Glucoside? You “can” but it won’t be the same kind of shampoo with the same feel. Can I use Lauryl Glucoside alone without Decyl Glucoside? Yes that will be more “similar” to the formula I made. But just to be clear: it won’t be “wrong” even if you substitute differently… It will just be more or less “far” from my original formula. I have SLMI and cocabetine and I want to formulate a shampoo can you suggest something . Hey There ! Greetings from India. Can I add Sles with Sci , I read a few recipes on shampoos, and a specific Foaming Silk was mentioned a few times. Now we do not have this Ingredient here. I was wondering if a Liquid Anionic surfactant like Sles be used instead. I do have CApb in hand to use in the Surfactant Phase of the shampoo. How much shelf life can we claim, if I use Iscaguard Peg as a Preserve. Ok, so let me re phrase it. There was this recipe I wanted to try, which has Sci and foaming silk and Capb. I do have sci, and capb .. But not foaming silk..
What do I add In place of foaming silk .. To make it work for me. Ok the first thing you need to know is what kind of ingredient it is. Hello. Thanks for ur efforts dear sis. I want to make a combo of coc glucoside,cocomidropropyl betaine,lamedoft po 65, olivem 400 ,plantapon sf, germall plus with some nayural e.o and extracts. Will this make a thick shampoo. Pls help as i cant afford wastage. Well, it depends on the formula. You need to make trials. Make them small capitals enough. Anyway, nothing gets wasted: if they are a little too liquid, you simply use them and try again next time. With olive oil ,citric acid ,epsom salt and flax seed /alovera gel . what can i use to replace the cocamidopropyl betaine ?